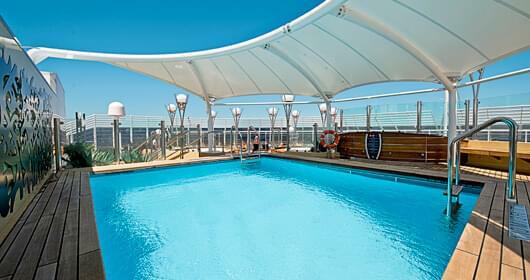 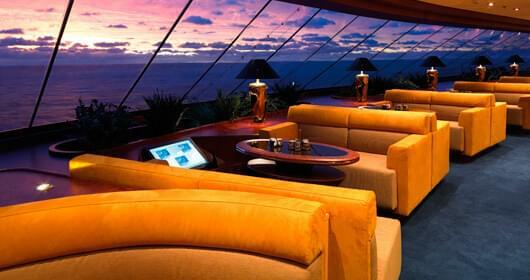 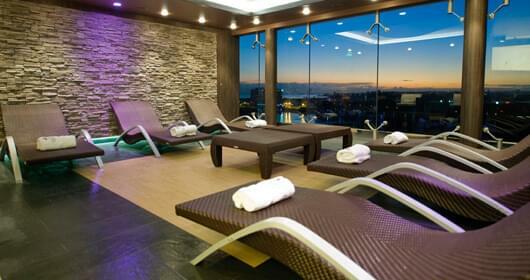 The Elios Deck features the exclusive MSC Yacht Club Area, the One Pool, whirlpool, the One Bar and the Solarium. 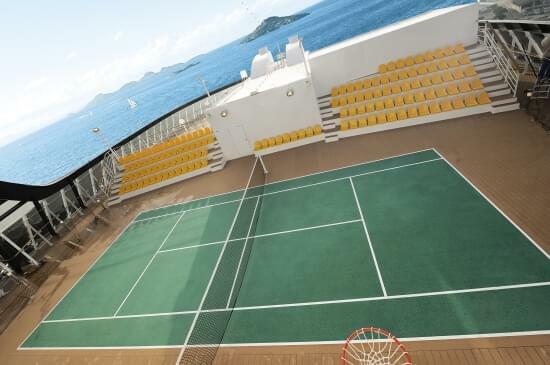 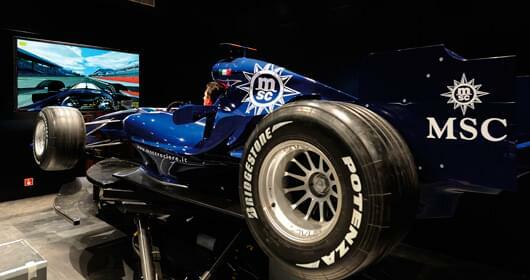 The Urano Deck features staterooms in categories YC3, and YC1, as well as the upper level of the MSC Yacht Club, Sky & Stars, Virtual World, 4D Cinema, F1 Simulator, shuffle-board, the MSC Sports Arena, Solarium and La Prue Spa. 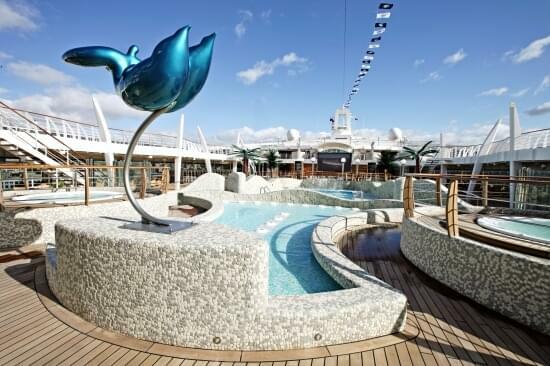 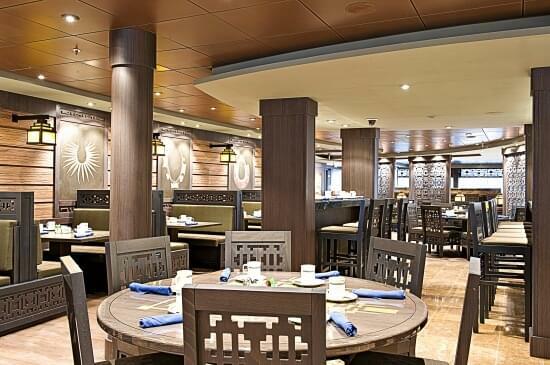 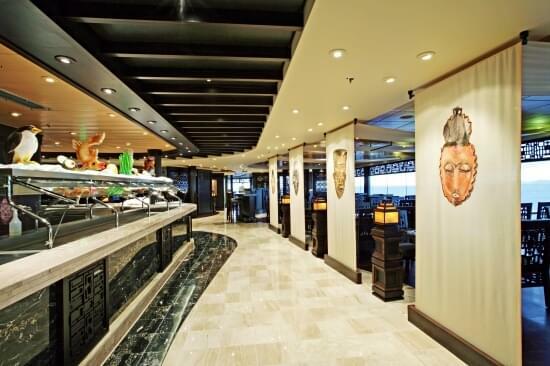 The Mercurio Deck features staterooms in category YC1, as well as the Top Sail Lounge, the MSC Yacht Club, Concierge area, Library, the Power Walking Track, Garden Bar, Le Muse MSC Yacht Club Dedicated Restaurant, and the Garden Pool Zen area. 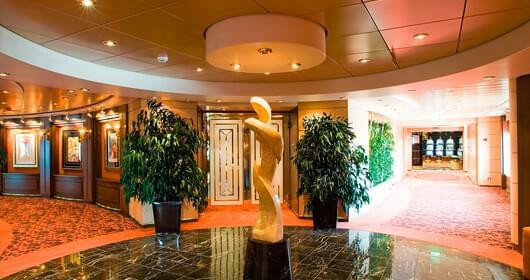 The Afrodite Deck features the MSC Aurea Spa, Le Sirene Covered Pool, pool bar, Aqua Park, Tritone and Poseidon Bars, Calumet Buffet and Manitou Buffet. 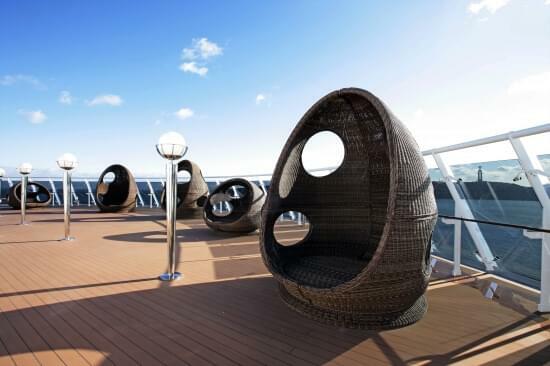 The Cupido Deck features staterooms in categories 12, 6, and 3. 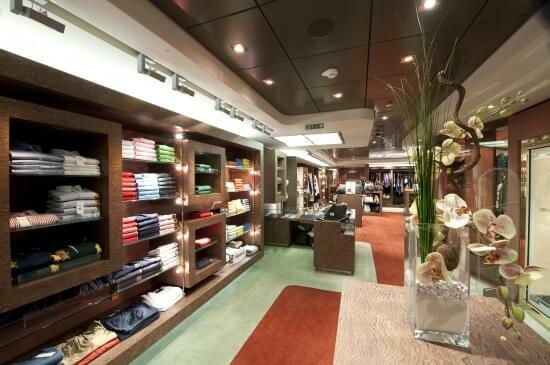 The Aurora Deck features staterooms in categories YC2, 11, 6, and 3. 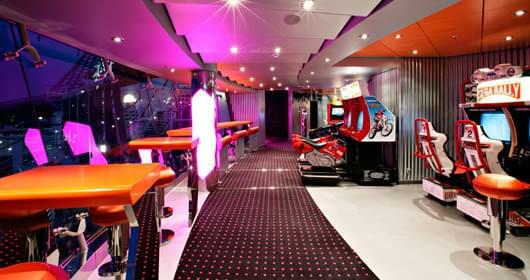 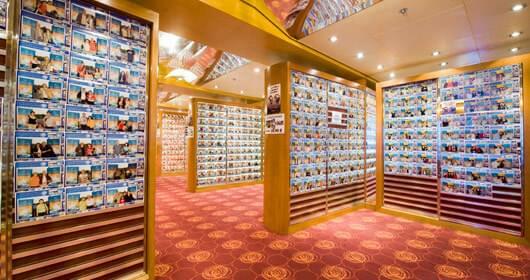 The Iride Deck features staterooms in categories 14, 13, 10, 6, 3, and 2. 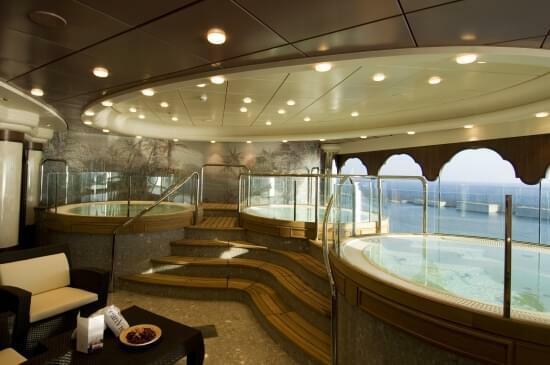 The Giunone Deck features staterooms in categories 14, 13, 9, 6, 3, and 2. 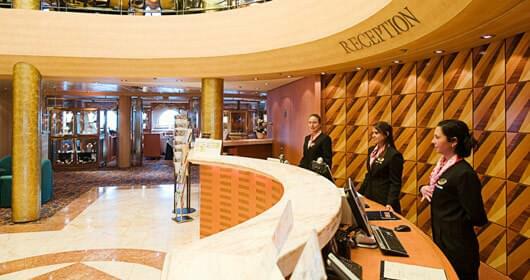 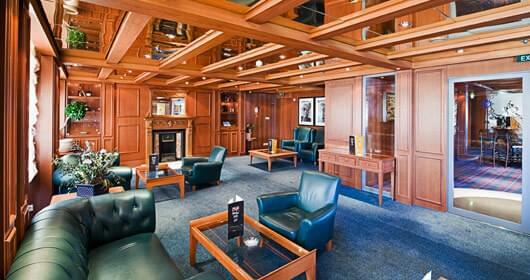 The Minerva Deck features staterooms in categories 14, 13, 8, 6, 2, and 1. 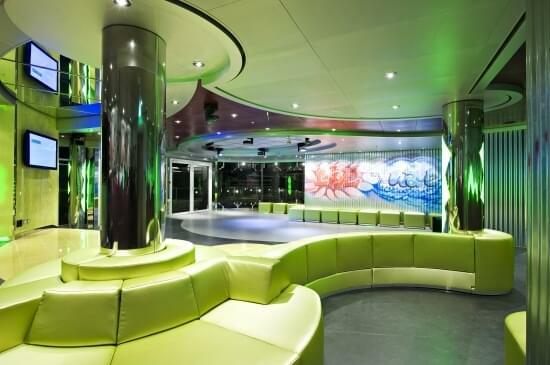 The Artemide Deck features staterooms in categories 7, 5, 2, and 1. 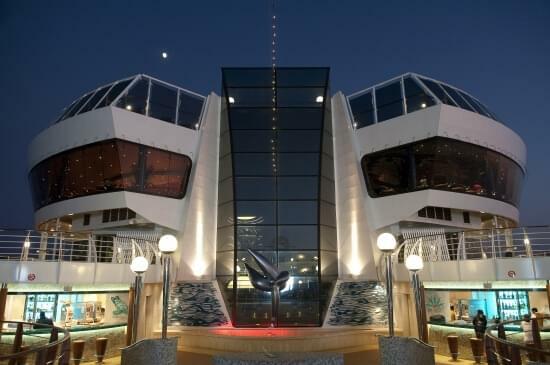 The Apollo Deck features the third level of the Pantheon Theatre, La Luna Piano Bar, Gallerie D'art, The Sports Bar, Golden Jazz Bar, Caffe Italia, shops, La Cantina di Bacco, Sacramento Tex Mex, Photo Shop and the Black and White Lounge. 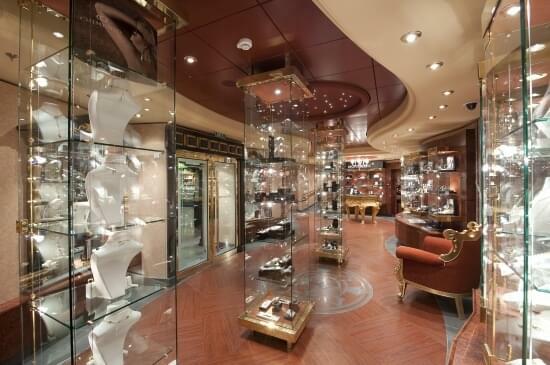 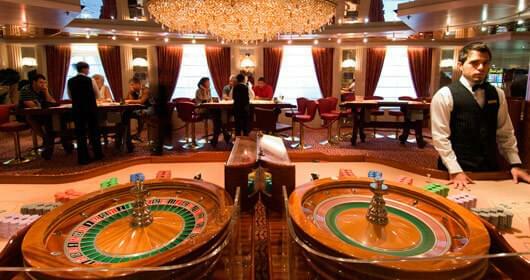 The Zeus Deck features the second level of The Pantheon Theatre, Casino Veneziano, the Cigar Lounge, duty free shops and boutiques, Silver Lounge Bar and the upper level of the Black Crab Restaurant. 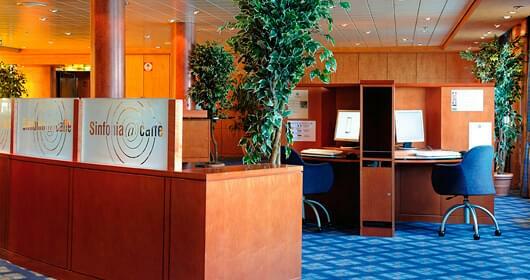 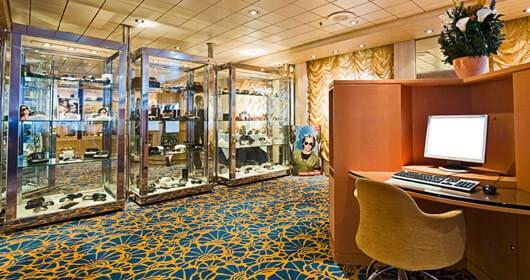 The Saturno Deck features staterooms in categories 4, and 1, as well as the first level of The Pantheon Theatre, Divina Reception area, Cybercafe, Divina Bar and the first level of the Black Crab Restaurant.